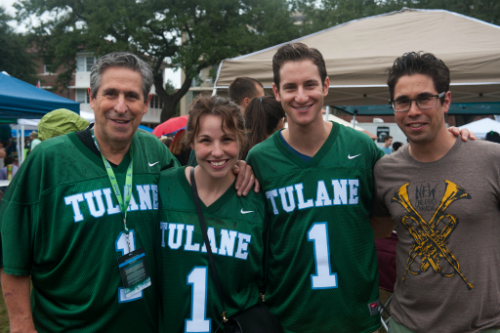 Don’t just wonder why 85 percent of our students travel more than 300 miles to attend Tulane. Come see for yourself. When you get here, you can sit in on classes, take a tour offered by a current student, and get a feel for life on campus. Major bonus: You also get to see New Orleans and get a feel for this amazing city that has been wowing people for centuries. Getting here is easy—Amtrak is here, and 15 airlines serve New Orleans’ international airport. It’s leaving that’s the hard part. Weekdays, 9 a.m. & 2 p.m.
You know the routine: Dress comfortably and wear good walking shoes. Tours start at the admission office, located on our Uptown campus in 210 Gibson Hall, 6823 St. Charles Avenue. Reserve a spot online or call the admission office at 800­-873­9283. Group tours are available for groups of eight or more. We don’t conduct interviews as part of our admission process, but we love answering questions and sharing advice. Especially when you ask for it. So fire away. If you’re interested in architecture or the performing and visual arts, we offer special tours of the School of Architecture and School of Liberal Arts. Several times each fall, we throw our doors open to prospective students and their families. 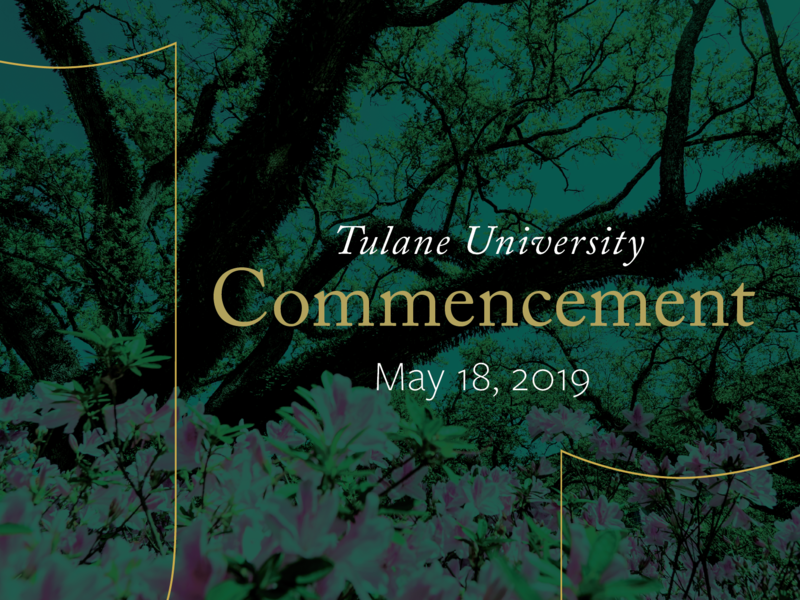 These half-­day events include insider info on applying to Tulane, student panels, a campus tour, and more. Spaces are limited—sign up today. 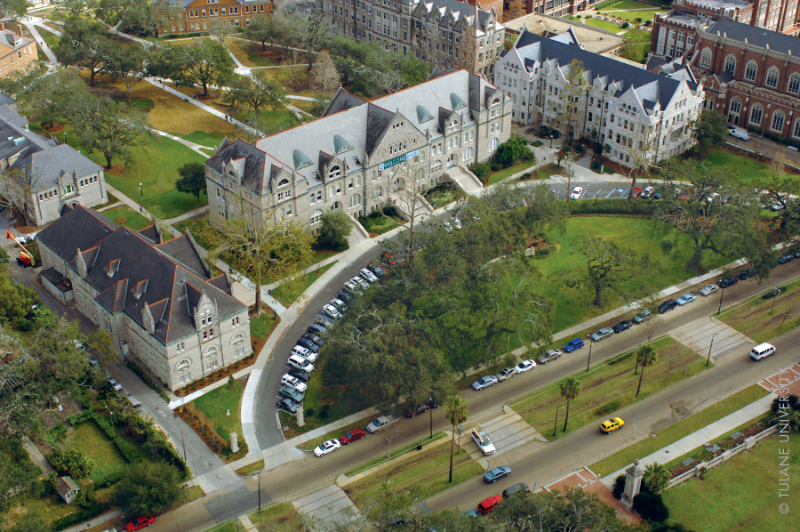 Want an up­-close look at Tulane classes? Take one for a test drive. Find a class you’re interested in on this list and sit in on a session. 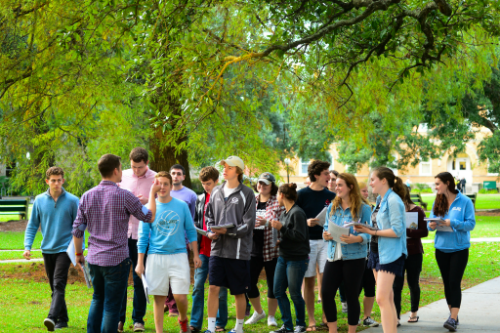 We’d love to show you around on any of our tours, though they’re geared toward undergrads. Contact the school you’re interested in to arrange a more in­-depth visit.